In 2006, Lowell had lead roles in the coming-of-age film “Graduation” and also in a small film entitled “You Are Here.” After the end of “Life As We Know It,” Lowell was cast as Stosh “Piz” Piznarski in the third season of “Veronica Mars,” opposite Kristen Bell and Jason Dohring. From 2007-2010, Lowell appeared in the ABC drama “Private Practice,” alongside Kate Walsh, Audra McDonald and Tim Daly, playing Dell, the receptionist for the Oceanside Wellness Group who is also a qualified nurse, midwife-in-training, and young father to six-year-old daughter Betsy. Lowell exited “Private Practice” in the show’s third season finale when Dell died from heart failure, a complication during brain surgery after a vehicle accident. In 2011, Lowell played the role of Stuart Whitworth in the movie, “The Help.” Stuart was Skeeter’s (Emma Stone’s) love interest in the movie. Lowell stars in the upcoming FOX series “Enlisted,” a comedy that follows three very different brothers working together in the Army at a small base in Florida. Lowell is vocalist and harmonicist for the indie acoustic band Two Shots for Poe. Do you want to hire Chris Lowell? Directly request a quote. In 48 hours we can send you the availability of Chris Lowell If you would like to book Chris Lowell, Entertainment Booking Agency is the right place. We will offer you the best price and contact the management or we directly contact Chris Lowell. For corporate appearances or speaking engagements you can contact our agents and the will help you true the process. Tags: hire Chris Lowell, Chris Lowell booking, book Chris Lowell, Chris Lowell appearances, find more information on booking Chris Lowell for appearances, Chris Lowell speaking engagements, Chris Lowell endorsements/spokesperson, Chris Lowell appearance fees, Chris Lowell booking agency contact info, biography of Chris Lowell, Contact an artist booking talent agent find a speakers bureau that can book Chris Lowell, speaker booking agency for Chris Lowell, Chris Lowell booking agency, Chris Lowell booking for corporate event. EBA is one of the biggest entertainment booking agencies in the World. We book hundreds of celebrities, artist, athletes and speakers in a year. 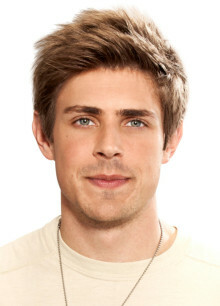 Important to know is that we are not claiming to be the management of Chris Lowell. We are not the official agent for Chris Lowell. Companies from around the globe book these artists and speakers true our company be course we have one of the biggest networks and we always have direct contact with the artist or the management. We help you to find the right celebrities for your corporate of private events. Please contact one of our agents to get free advice and we will help to get the world-famous artist on your party.